Clorox Germicidal Wipes are pre-moistened and will not easily tear or fall apart and are designed for better cleaning power. Kills C. difficile spores in five minutes. Meets CDC and APIC guidelines for surface disinfection of the toughest healthcare pathogens. 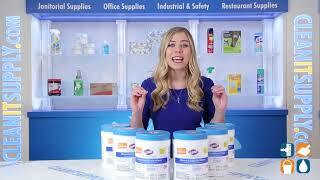 Clorox Germicidal Wipes can be used almost anywhere to clean and disinfect hard, nonporous hospital surfaces. 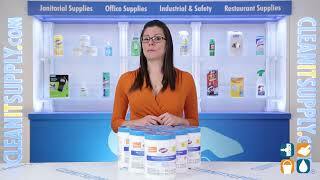 Includes 6 canisters of 150 wipes each. Buy yours today! Order more and save!